The 70 year old bluesman found fame late in life late after a breakthrough performance on Jools Holland’s New Year show in 2006. He’s gone on to play Reading, Leeds, the V Festival and Glastonbury and has become a stalwart of the UK music scene. His guitars are often customised and include The Three-String Trance Wonder, The One Stringed Diddley Bow and The Morris Minor Guitar. 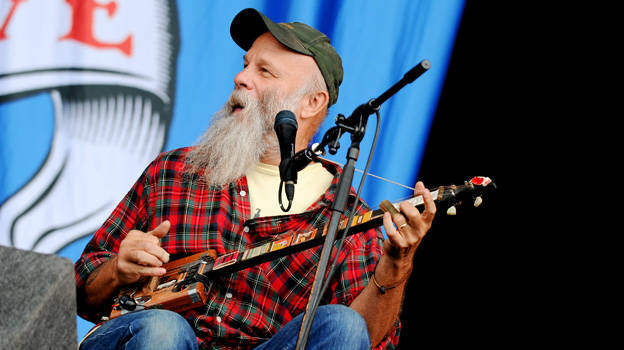 Can I listen to or watch Seasick Steve perform? Our set lists are powered by Songkick. You can add or edit set list information at songkick.com. The BBC is not responsible for the content of external sites. A limited-run Valentine's set from the plain-speaking American bluesman.